Sometimes useful pieces of historical evidence may be found lying around in plain sight. A case in point concerns the relationship between Alcoholics Anonymous and the disease concept of alcoholism. In 2002, Ernest Kurtz, A.A.’s distinguished academic historian, published a well-argued article asserting that the disease concept of alcoholism was not one of A.A.’s core philosophical commitments (2). Yet – as Kurtz also noted — the disease concept has been part of A.A.’s operational vernacular for a long time. Sociologist Annette R. Smith has recently suggested that the acceptance of the disease concept is a crucial step in a new A.A. member’s conversion to an alcoholic identity (3). If both Kurtz and Smith are correct–and I believe they are–then how did an idea that is not part of the group’s core philosophy nevertheless become a central element in A.A.’s actual praxis? A key part of the answer lies in the promotional campaign of Mrs. Marty Mann. In 1944, Mann was employed by Howard W. Haggard and E.M. Jellinek at the Yale Center of Alcohol Studies to promote the disease concept to the American public. The Yale group’s ultimate aim for Mann’s campaign was the establishment of a single-disease advocacy organization for alcoholism treatment and research enterprises – an organization not unlike the American Cancer Society or the American Lung Association. This advocacy group, Yale leadership hoped, would in due course provide a stream of donations for the support of their own alcohol-related research. The Yale group’s plan for Mann doubtless sprang in large part from a report prepared by Dwight Anderson for the Research Council on Problems of Alcohol, later published in a 1942 article titled “Alcohol and Public Opinion” (4). Anderson argued that the new scientific approach to alcohol-related problems proffered by the Research Council (and, by extension, the Yale group) needed a new symbol to differentiate itself unmistakably from the old vying “dry” and “wet” camps of the previous era. The idea that the alcoholic was “a sick man,” Anderson contended, would perform very nicely as that new symbol.Yet Mann’s campaign was dogged by a crucial ambiguity. She was widely known within and without A.A. as a member of that organization; as Michelle McClellan has recently pointed out here, she was sometimes touted as A.A.’s first woman member. She was also a popular and beloved figure and speaker within A.A. Not surprisingly, therefore, it was not always clear to listeners whether her disease concept advocacy was an element of A.A.’s belief system, or whether she was speaking entirely on behalf of her National Committee for Education on Alcoholism (NCEA), or the Yale group. Either way, the disease concept became a cause célèbre in the late 1940s and over the decade of the 1950s. But what might have been Mann’s view of alcoholism qua disease prior to 1944 and before she was hired by the Yale group? As it happens, there is a convenient source that sheds a little light on this question. 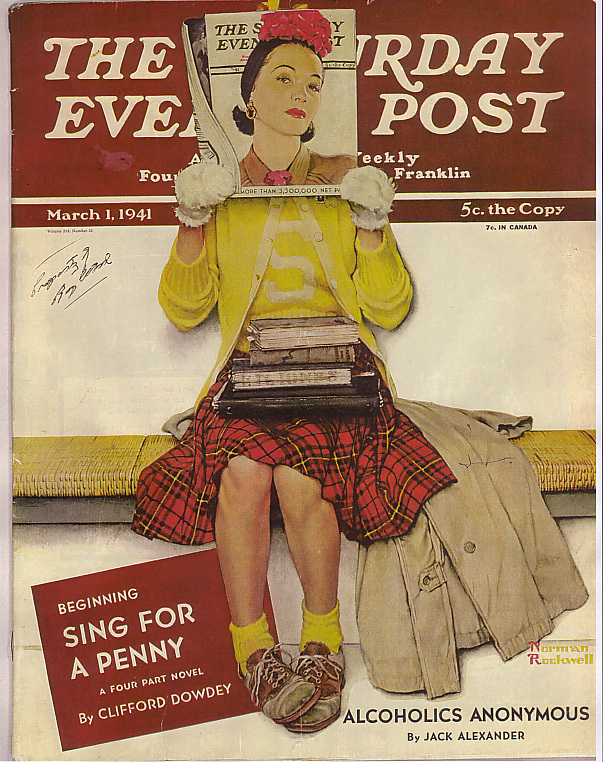 Journalist Jack Alexander published a celebrated article on A.A. in the March 1, 1941 issue of The Saturday Evening Post. More than any other previous event, Alexander’s article put A.A. on the map of U.S. national consciousness. An A.A. General Service Office newsletter recently noted that following the Post article’s publication, “…A.A. would suddenly triple its membership and be well on the way to becoming a national institution” (5). Is That You, Marty Mann? Mrs. Marty Mann made a cameo appearance in Alexander’s famous 1941 article, under the pseudonym “Sarah Martin.” Before I summarize Mann’s cameo, however, a word of caution is in order. Whatever Mann conveyed in Alexander’s article was of course filtered through Alexander’s consciousness, his goals for his article, and his prose preferences. Hence, Mann’s remarks and perspective should be evaluated with a dose of wariness on the reader’s part. That said, it is notable that the word “disease” did not appear in Mann’s cameo; nor did she use the occasion to advance the disease concept of alcoholism. Neither, incidentally, did the word “disease” appear anywhere in Alexander’s 6,500-plus word article; nor did the words “malady,” “illness,” or “sickness”(6). I don’t think it’s too much of a stretch to believe that the Marty Mann of the post-1944 disease concept campaign–had she been magically transported back in time to her 1941 interview with Alexander–would have enthusiastically hawked the disease concept to him. Up to this point she had diagnosed her trouble as a nervous breakdown. Not until she had committed herself to several sanitariums did she realize, through reading, that she was an alcoholic. (7) On advice of a staff doctor, she got in touch with an Alcoholics Anonymous group. Today, she has another good job and spends many of her nights sitting on hysterical women drinkers to prevent them from diving out of windows. In her late thirties, Sarah Martin is an attractively serene woman. The Paris surgeons did handsomely by her. Kurtz’s analysis of the disease concept’s relationship to A.A. thought traced the history of the concept’s appearance in authoritative A.A. publications or pronouncements. Sometimes it was the absence of any mention of the disease concept that Kurtz noted. He gave particular attention to the writings of Bill Wilson. Kurtz argued that a careful examination of these sources clearly evidenced A.A.’s preference for a three-fold vision of alcoholism as a physical, mental, and spiritual problem – with an emphasis on A.A.’s preoccupation with the spiritual dimension. Mann’s cameo in Alexander’s famous article did not fit the “sampling frame” Kurtz employed in gathering data for his analysis –Alexander’s article could hardly be considered an authoritative A.A. publication. Yet, Alexander’s article and Mann’s cameo provide a nice footnote to the case Kurtz made. Mann’s cameo tends to support the view that her vigorous promotion of the disease concept emerged in 1944 and not directly out of her early A.A. experience (8). Too bad we don’t have more primary material on Mann’s views on the disease concept of alcoholism before 1944. In any case, the fame of Alexander’s 1941 article within A.A. circles will, I trust, justify my suggestion that Mann’s cameo was “lying around in plain sight” for use in relation to Kurtz’s bold thesis. (1) I thank Bill White for his insightful comments on a previous draft of this commentary. (2) Kurtz, Ernest, “Alcoholics Anonymous and the Disease Concept of Alcoholism,” Alcoholism Treatment Quarterly 20 (3&4):5-39, 2002. (3) Smith, Annette R., The Social World of Alcoholics Anonymous: How it Works New York, Lincoln, Shanghai: iUniverse, Inc. 2007. (4) Anderson, Dwight, “Alcohol and Public Opinion,” Quarterly Journal of Studies on Alcohol 3:376-392, 1942. (5) “Jack Alexander Gave A.A. Its First Big Boost,” Box 459[:] News and Notes from the General Service Office of A.A., 54(1):4-5, (February-March) 2008. (6) Kurtz (2002), in another connection, made the same point about Alexander’s article. 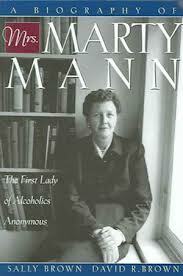 (7) Incidentally, I have disputed Mann’s claims regarding when she first heard the term or learned about “alcoholism.” See: “Where Did Mrs. Marty Mann Learn Alcoholism Was A Disease and Why Should It Matter?” Ranes Report: Roizen’s Alcohol News & Editorial Service No. 7 .